Though the following stories are probably just a folklore, they give tourists a feeling of historical facts. People who live in India told me these stories. They were represented as the facts but I did some research on the Internet. Most of the Internet's users believe that such evidence wasn't proved. It is a love story about the Mughal Emperor of Hindustan and Hindu princess Johaa. It was an arranged marriage for political reasons. The Muslim Emperor Akbar wanted to expand his empire and he agreed to a marriage of in alliance to young and fiery Jodhaa. Under pressing of her father who wanted Akbar's protection for his kingdom, she reluctantly accepted this proposal under two conditionals that she would retain her Hindu faith and she could worship her Lord Krishna in the Mughal palace. However, Johaa felt as a pawn in the big political play. Her deep resentment was gradually disappearing because she was inspired by his bravery, by his strong personality and she admired his skills of ruling so vast empire. Akbar didn’t face as much of a challenge in winning great battles but faced a greater challenge trying to win the love of Jodhaa. This story was filmed and the plot shows us how a big resentment and extreme prejudice turns to the true love. It was arranged marriage they belonged to very different cultures but they were happy. Indian culture accepts and even welcomes the wedding by agreement of parents. But this custom has been changing gradually over the last few years. Anyway everybody agrees Love is above all. 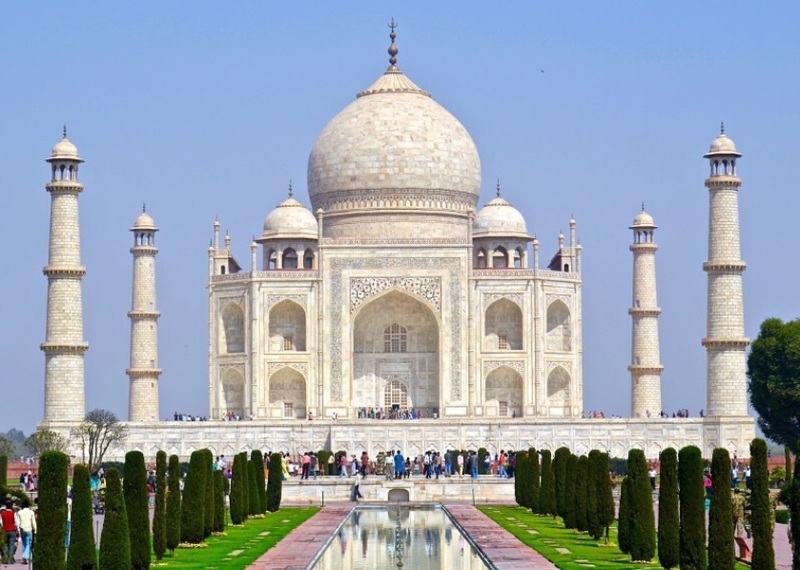 Taj Mahal is a great mausoleum in India. It was built by the Emperor Shah Jahan, who was the grandson of emperor Akbar the Great. In the year 1631, his beloved wife Mumtaz Mahal died and he vowed to build the outrageous palace-mausoleum in her honor - Taj Mahal. Taj Mahal looks so gracefully and this view inspired people for composing stories. The legend tells the tale of the craftsmen whose hands were cut off after they finished building. Many of the historians find this horror story false and baseless as no records or evidence has been found. But despite these stories being baseless, they manage to spook the senses of every person who hears the story. Although the validity these stories has not been confirmed, the myths have been in circulation and they add an air of mystery to the wonder of India. We talked about these stories in online school albert-learning.com with teacher Meryl (the first story) and with teacher Bharati (the second story).